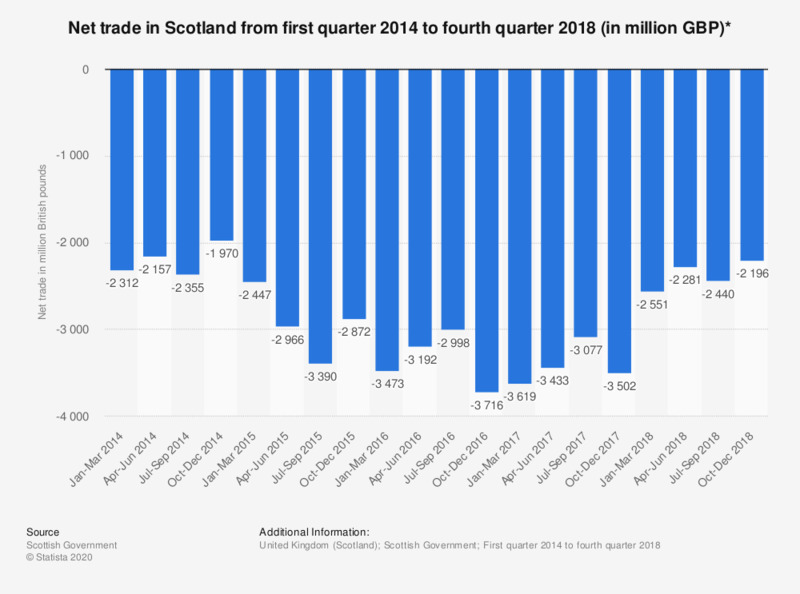 This statistic shows the value of Scotland's net trade from the first quarter 2014 to the fourth quarter 2017. In the fourth quarter of 2017, the net trade deficit amounted to approximately 3.5 billion British pounds. *Including account balancing adjustments. Seasonally adjusted.